It was a tough week for the nation’s banks as a series of denial of service attacks came in rapid succession. What’s more worrisome, though, is the warnings that were issued this past fall that no one seems to be paying attention to. You may recall the Islamic group that claimed responsibility for several waves of attacks on most of the biggest banks in the United States. For more than two months, the group, which refers to itself as the Cyber Fighters of Izz ad-Din al-Qassam, said that it would continue to unleash the denial of service attacks on the financial entities until a controversial video was removed from YouTube. The group said the video was anti-Islam video and that it mocked the Prophet Muhammad. The video, called the Innocence of Muslims, was problematic from the beginning and is said to have sparked violent demonstrations in many Middle Eastern countries. Ultimately, the video was removed from the site and the group retreated, but not before it gave one final warning. It promised to resume its assault in the spring using a lot more firepower. The banks mostly suffered inconvenient outages that had customers frustrated when they were unable to log into their accounts. The outages lasted for a few minutes up to several hours during traditional banking hours. The entire security ecosystem still does not deal with these attacks as it should. 2012 was the year the writing on the wall became painfully clear. 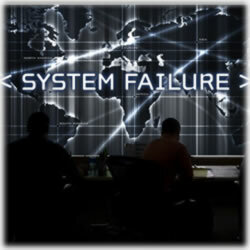 Radware reported a 170% increase in DDoS attacks over 2011 and at the cost of $32,560 per minute of downtime. Needless to say, this is a growing problem that has the potential to change everything. In addition, the length of time that an attack takes place went from a few hours at a time to several days and weeks. And it’s getting worse. Remember – we’re in spring. And, like clockwork, the attacks are on the rise again. There were 164 downtime reports in one twenty four hour period last week, according to Sitedown.com, which tracks website access problems. It appears Wells Fargo the worst of it. On Thursday, it confirmed it was being attacked, just days after coming through a similar attack. The bank’s customers, of course, felt it. It was confirmed it was another distributed denial of service (DDoS) attack and it blocked or slowed online access for quite some time. The week before, Wells Fargo acknowledged its consumer site was currently undergoing a series of attacks, which triggered what it referred to as “intermittent disruptions for some users”. a Wells Fargo spokesman told FOX Business at the time. Then, just when it seems as though things were bad enough, Wells Fargo said on Wednesday that customers had experienced problems early in the day using their debit cards. It was quick to tell the media that the “technical glitch” had been corrected, leaving many to wonder why it waited to make the announcement. It’s not clear how the glitch was keeping consumers from accessing their money. Many Twitter users were quick to let the bank know that their debit cards were being rejected for purchases. Wells Fargo is the fourth largest bank in the U.S. by assets. During its announcement after the glitch had been resolved, it said it had worked closely with its card processor Visa Inc to resolve the issue, bank. Visa isn’t commenting, but the bank insists the problems weren’t connected to the denial of service attacks from a week earlier. Twenty four hours later, it would be dealing with its second attack. It looks like the hackers have upped the ante, too. Lately, there’s been a substantial increase of attacks on sites that handle virtual currencies, like BitCoin, which also took a big hit last week. And, like Wells Fargo, it seems as though Thursday was a busy day. Mt. Gox, a key exchange used by virtual currency Bitcoin, said it suffered the “most powerful DDoS attack it has ever seen” and that it marks the second major hit in less than a week. Tokyo-based Mt. Gox said in a statement. But if Wells was certain it was a bad week, they might want to consider how the attacks affected BitCoin. It sparked a 22% tumble in the value of Bitcoin. That said, it was quick to recover and ended up reporting new highs by the time the markets closed on Friday. So what’s in store for this week? Will the fact that it’s tax day play any role in how things go down? That remains to be seen, but most agree that the hackers are just getting started. It’s clear that in this series of attacks, it’s more about dropping many attacks simultaneously. It still comes down to the same thing, though. No one knows how to stop them. Even the experts are finally agreeing, saying there are no short term solutions. said Dave Ostertag, a global investigation manager with Verizon. In total, for the first week of April, Wells Fargo’s online and mobile banking systems were inoperable for about six hours. As mentioned, those increased this past week. Meanwhile, and often at the same time, similar denial of service attacks hit JPMorgan Chase, BB&T, American Express and TD Bank. But there’s one more who was in the crosshairs – and it’s not the kind of company you might expect. One of the nation’s largest mobile providers, Verizon, was also attacked. The hackers have no doubt stuck to their game plan. Now that it appears the virtual currencies and credit card companies are each taking it on the chin, the tips being offered are no different than what you’re likely already doing. Just because the hackers aren’t compromising identities, there’s no reason to believe it won’t eventually evolve into that. Be sure you check your accounts and monthly statements. Remember, many consumers are unaware that their credit cards have been used for fraudulent activity until they notice it on a monthly statement. If you do have trouble logging into your bank’s commerce site, keep an eye on any pressers it may release as a result of any slowdowns or attacks. If you’re unsure, you can call your bank in order to better understand what’s going on.